On March 1st we will be doing an old school Numan night at Bar XLR in Epsom. 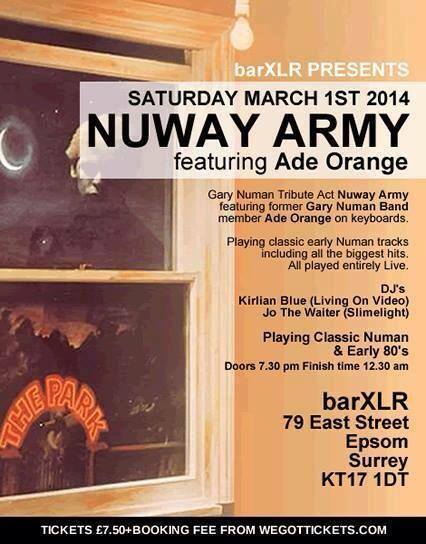 The night will feature NUWAY ARMY, a Gary Numan tribute band playing Tubeway Army and old Numan tracks. 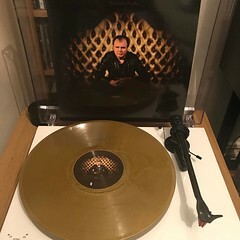 The band will feature, probably playing Numan songs for the last time ever, Ade Orange, who used to be keyboard player for Gary Numan for many years. DJs on the night will be Kirlian Blue and myself, Jo The Waiter, playing early Numan and other 80s electronic. Check out the links below for more info and tickets. ~ by calumgray on January 31, 2014.